During Cleveland’s long history a number of periods and a number of specific years stand out as special. For sports aficionados the years immediately after World War II, and particularly 1948 were “the” championship years. For economic historians, 1832, the year the Ohio and Erie Canal was completed, stands out as the beginning of Cleveland’s evolution into a prosperous community with enormous potential for future development. But, what if one were to ask what year, or what period marked the point at which Cleveland became a modern city, one deserving of national emulation or the question as to when did democracy truly triumph in Cleveland? The answer would have to be the Progressive Era of the early 1900s and, perhaps, specifically the year 1912. The choice of 1912 is a bit subjective given the rich history of progressive-era Cleveland and the panoply of reformers, from Tom L. Johnson to Frederick Howe, and Belle Sherwin who played important roles in the period. But 1912 is significant in large part because it was a one of the most propitious times for reform and change in the history of the city, state, and nation, and also the the year in which an altruistic and legally savvy reformer assumed the office of mayor. That person was Newton D. Baker. Newton D. Baker took the oath of office as major of Cleveland on January 1, 1912. He would serve as mayor for two terms, until 1916, a period in which the city would see a remarkable burst of governmental reform and a spate of what can only be termed “progressive” civic actions on the part of private individuals, organizations and corporations. While it is difficult to separate one year from the others in Baker’s tenure as mayor, 1912 is perhaps the best candidate both because it was his inaugural year as chief executive, and also the period in which the ideals and ideas he espoused also were on the center stage of state and national politics. Baker was no newcomer to the local political scene. A lawyer, educated at Johns Hopkins and Washington and Lee, he came to the city in 1899 to work in the law office of former Congressman Martin Foran. Two years later he would become assistant law director in the administration of Tom L. Johnson. A year later, at the age of 32 he would become the city solicitor. Like Johnson, Baker was one of a growing number of individuals who sought to find solutions to a number of problems and issues that confronted the nation in the years after the Civil War. Industrialization, urbanization, immigration, and growing economic disparities severely challenged many of the nation’s foundational ideals, particularly concepts of democracy and equality. The Progressive Movement or Era, in which Johnson and Baker played nationally prominent roles began in the late 1890s. It was largely urban in origin and its adherents and leaders tended to be well-educated middle class men and women. Their motivations as reformers have been debated by historians for decades with some seeing the progressives working for their own self interests as the native-born middle class was seeing its power and status challenged by immigrant-based political machines in American cities and a wealthy plutocracy whose monopolistic business practices limited opportunities for small scale entrepreneurship. Other historians view the progressive agenda as more altruistic and genuine with roots in the evolving Social Gospel of the late nineteenth century while another interpretation sees the movement as a move to bring order and rationality to all aspects of American life, ranging from the creation of efficient industrial processes to the establishment of professions and professional standards in medicine, law and other occupations, as well as to more scientific means of dispensing philanthropy and dealing with social problems. Whatever their motivations the progressives would advocate a variety of measures to change politics and society, including referendum and initiative, pure food and drug laws, child labor laws, building codes, anti-monopoly legislation, and organized charitable solicitation. They vigorously fought corrupt urban political machines, sought conciliation between labor and capital, and established the social settlement movement within the United States. All of these motivations can be seen within the reforms undertaken in Cleveland from the 1890s to the 1920s and all are part of the story of the remarkable year of 1912. What happened in 1912 was astounding, but it was not so much revolutionary as evolutionary. Its roots lay in the last decade of the nineteenth century, a period in which the city confronted a considerable number of major changes and issues. One catalytic issue was the economy, particularly the Depression of 1893, which raised issues of labor and capital, the means to bring relief to the poor and unemployed, and the manner in which old solutions failed to address the needs of a rapidly modernizing nation. While the diversity of industry in Cleveland provided some buffer from the national economic decline, events such as the march on Washington by Coxey’s Army which originated in Massillon, Ohio, provided a nearby reminder of the labor unrest that had confronted the nation during previous economic downturns in 1877 and again in the mid-1880s and which might possibly worsen if matters weren’t corrected. Nevertheless the city continued to grow during the decade and although the rate of immigration diminished briefly in 1894 and 1895, its population rose from 261,353 to 381,768 and its ranking among America cities from 10th to 7th between 1890 and 1900. Although the rise in rank, and the fact that Cleveland had replaced Cincinnati as the state’s largest city was a matter of local pride the rapid growth brought substantial problems in its wake. The most prominent of these was the squalor of older and severely overcrowded neighborhoods near the city’s center, including the Haymarket area, Lower Woodland, and the section around the “Angle” and Whiskey Island on the near West Side. Compounding the matter was the fact that older areas such as these lacked adequate water and sewers. Equally significant was the fact that neighborhoods like these were largely inhabited by the foreign-born and their children, a matter which begged the questions as to how or if an increasingly diverse population could or should be brought into the traditions of American democracy. Ward bosses, such as “Czar” Harry Bernstein on lower Woodland tried to make the newcomers part of his version of urban democracy, a version that was anathematic to many of the long-settled middle class in the city. These situations initiated the first surge of activities in the city which were a combination of personal altruism and idealism and a corporatized search for order and solutions to the problems. The personalized approach was best represented by the rise of the settlement house movement in Cleveland. Hiram House, the city’s first settlement was established in 1896. Its founder, George Bellamy, a student at Hiram College, recalled coming to Cleveland on a survey mission (inspired by a visit to the college by Graham Taylor, the founder of Chicago Commons Settlement) and returning to Hiram to tell his classmates that Cleveland needed a settlement “very badly.” Within four years another four settlements, Council Educational Alliance, Friendly Inn, Alta House, and Goodrich House had been established. Considered “Spearheads of Reform” by historian Allen Davis, the settlements represented grass roots progressive activity often driven by Social Gospel ideals and often fueled by youthful idealism. Their leaders sought to educate and help newcomers adjust to the city at the same time as they confronted political corruption, squalor, and poverty. There was, however, a more pragmatic and, perhaps, less idealistic side to the rise of progressive reform in the city in the late nineteenth and early twentieth century and it was led by the city’s Chamber of Commerce. Its agenda fit neatly into the side of the Progressive Movement that sought order, rationality, and efficiency. The businessmen who constituted its membership were familiar with these concepts having often applied them to their own enterprises and in doing so following the teachings of Frederick W. Taylor who pioneered scientific management in the 1880s. The work of various Chamber committees led to the creation of a series of bathhouses in areas that lacked household plumbing; a rational housing code for the city; and a system of charitable giving which would eventually lead to the Community Chest and today’s United Way. 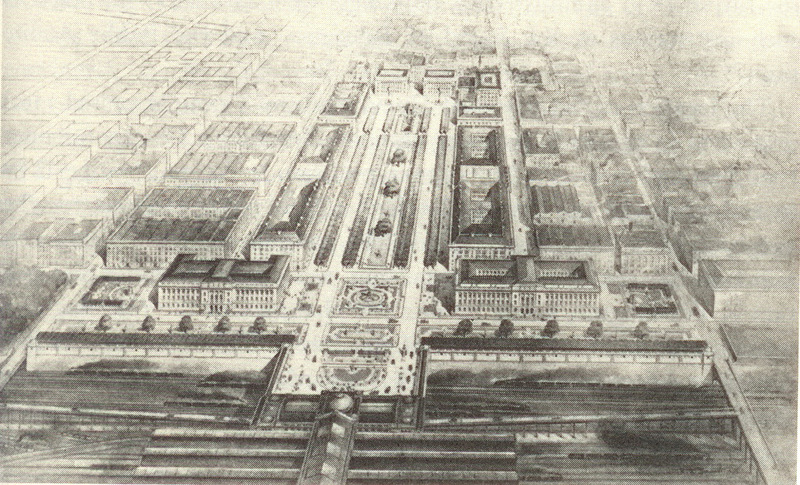 The Chamber was also key to the creation of the “Group Plan Commission” which led to the building of the Mall with its orderly arrangement of major civic buildings in the Beaux Arts style. The Mall was, perhaps, the city’s first major urban renewal process as it replaced a declining neighborhood reflected unfavorably on the city. One can debate the motivations of the members of the Chamber of Commerce. Certainly, there was a touch of reform and altruism to their actions, but they also knew that others, including members of the Socialist Party and single taxers were suggesting alternative solutions to the problems that plagued growing urban industrial centers such as Cleveland. Johnson was one of several US mayors, including Hazen Pingree of Detroit and Samuel “Golden Rule” Jones and Brand Whitlock of Toledo who came to epitomize the rise of progressivism on the municipal level. Today their names and achievements are common to many historical texts on the era. The hallmarks of Johnson’s mayoralty in Cleveland were an expansion of popular democracy, the professionalization of governmental functions and an advocacy of the public ownership of services, including utilities and urban transit. He succeeded in the first two – his tent meetings and very “populist” mayoral campaigns were unlike any seen in the city before and the people he chose for his cabinet to manage legal issues, public safety, water services, and the penal system were professionals with the best credentials, rather than campaign supporters and political hacks. However, his plans and hopes for municipal ownership of utilities and urban transport never fully succeeded. Indeed, his campaign for control of the street railways and especially the imposition of a standard three-cent fare engendered strong opposition, and eventually led to his defeat in 1908 by a public grown weary of the issue. Johnson also struggled with the matter of restructuring the system of government for Cleveland. While he was able to hire the best managers, the statehouse, using the then current 1851 state constitution, dictated the manner in which cities could design their systems of offices and responsibilities as well as their overall structure of representation and governance. The state system was antiquated and could not match the needs of growing urban areas – the problem was not unique to Cleveland nor to Ohio and it represented part of a growing gap between rural-dominated statehouses and polyglot industrial cities. The solution was “home rule,” that is the ability of the citizens of a particular municipality to select the system that best suited their needs. Johnson campaigned on a platform of home rule but here too, was unable to achieve it before his defeat by Republican Hermann Baehr in 1908. Yet his defeat in 1908 did not signal an end to progressive reform in the city. By the time Johnson had left office the movement was firmly embedded not only in the city but in the nation. The Presidency of Theodore Roosevelt, which also ended in 1908, had given a progressive hue to national politics. Most important for Cleveland, however, was that Johnson’s acolytes, particularly Newton D. Baker, remained in the city and remained committed to concepts of democratic and social reform. Likewise, but from another perspective, the business-based focus on rationality and order accelerated, and, for whatever its drawbacks, would continue to effect significant changes to the manner in which the city, and most particularly, its benevolent institutions operated. The major thread of local continuity was Newton D. Baker. Baker continued to serve as City Solicitor during the Baehr administration and, upon Johnson’s death in 1911, he assumed leadership of the Cuyahoga County Democratic Party. While Baker shared the same idealistic zeal of his mentor, Johnson, he more truly fit the mold of the typical progressive and, by virtue of that, was became a more effective leader in the movement. Unlike Johnson, he had a university education and was professionally trained as a lawyer. Unlike Johnson, he had never garnered wealth, but at that time remained a member of the middle, professional class. Also, Baker was young. Johnson was 47 when he became mayor in 1901, Baker was 30 when he joined the administration that year, an age more in concert with the group of young social workers and civic advocates with which he socialized. Among these was a college classmate, Frederick Howe, who was active in a variety of local reform organizations including Goodrich Settlement House. Certainly, his tenure with Johnson was one akin to apprentice and master in regard to politics, but Baker learned quickly and his ability as an articulate, informed public speaker made him an asset to the administration and eventually would, along with his deep understanding of the law, form the basis for a political career which would eclipse that of his mentor. Baker ran for mayor in 1911 against Republican businessman, Frank G. Hogan, and won handily. Baker’s assumption of the office of mayor in 1912 was one of three seminal political events that year, each heavily colored by the urge for progressive reform. The most visible was the impending US Presidential campaign which would find three candidates seeking the office: Democratic Woodrow Wilson; Republican William Howard Taft the incumbent; and the Progressive (Bull Moose) Party candidate, former President Theodore Roosevelt. The other event was a state constitutional convention in Ohio which was charged with redrafting or amending the state’s 1851 Constitution. Baker, as mayor of Cleveland would play important roles in both of these events and in doing so gain stature for himself and his city in the state and nation. When Baker assumed the office of mayor, Cleveland was the nation’s sixth largest city and its population was over 600,000. 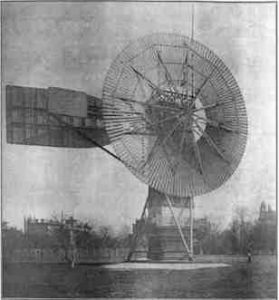 Baker’s campaign had promised more reforms including the municipal ownership urban utilities including gas, electric, street railways, and even the telephone system. He also strongly advocated home rule. His primary goal, however, was something he called “civitism,” a word which he coined and which referred to the creation of a sense of pride in all citizens for their city. It was a pride to be built upon a broad participatory democracy and which would bring in its wake the buildings, cultural institutions, parks and other physical amenities that make a city great. Baker’s margin of victory in 1912, over 17,000 votes, was the largest in the city’s history up to that time. Short in stature (he was only 5’ 6” tall) Baker was not physically imposing, as had been his mentor, Johnson, but he made up for the lack of stature with superb oratorical skills and well-honed abilities as a debater. Like Johnson he appealed to a broad democracy, holding tent meetings around the city during election periods and speaking at numerous venues for dedications, neighborhood gatherings and other “technically” non-political events. That, along with his substantial plurality allowed him to achieve things that had eluded Johnson. By 1914 Cleveland had is municipal electric provider (today’s Cleveland Public Power). Although street railways were not fully municipalized until 1942, his administration, notably through the efforts of Peter Witt, (Baker’s Commissioner of Street Railways),was able to use municipal oversight to get fares dropped to 3 cents. Baker then went on a “three-cent binge” creating municipal dance halls that offered dances at that price and selling fish from Lake Erie at three cents, the fish being trawled for by city boats. The municipal electric plant also offered 3 cent lighting! Baker’s first year in office set a tone for other events that enhanced the progressive nature of the community. The West Side Market, the site of which had been purchased by the city under the Johnson administration in 1902, dedicated its new modern facility in 1912. Designed by the noted architectural firm of Hubbell and Benes, the building was the epitome of a modern market, sanitary, attractive, and hugely efficient. In October 1912, the emphasis on democracy and open civic debate favored by progressives such as Johnson and Baker came into its own with the founding of the City Club of Cleveland. On the same day, January 1, that Baker took office, the new County Court House, a landmark of the Group Plan opened. Baker’s two terms of office would see the construction of its counterpart, the City Hall, which would open in 1916, the year after Baker left office. The site of the old city hall, on Superior Avenue, then became that for the new building of the Cleveland Public Library. Citizens approved a bond issue to pay for the new building in 1912. It would open in 1925. Paralleling these civic reforms was a continued growth of industry and entrepreneurship in the city, something attributable, in part, to the efforts of the Chamber of Commerce to stabilize the chaos of urbanization in Cleveland. 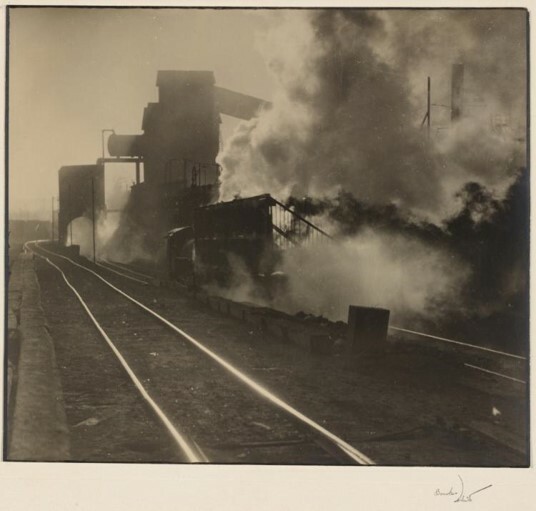 Although one can pinpoint several major industrial developments in the city during 1912 – including the expansion of the Otis Steel Works into a major new plant in the Flats south of Clark Avenue, statistics for the decade as a whole show an enormous growth in productivity. The values of industrial products made in Cleveland was $271,960,833 in 1910, it rose to $350,000,000 in 1914, and after World War I to $ 1,091,577,490 in 1920. That growth did not, however, come without continued conflict between capital and labor. In 1911, 4,000 workers in Cleveland’s large, and growing garment industry went on strike. Their action failed, but in ensuing years manufacturers tried to stave off unionization by offering benefits, lunchrooms, recreation and employee representation in decision making. This variety of corporate paternalism was considered progressive at the time, but that definition is debated by some contemporary historians. What made 1912 a seminal year for the city was not simply what took place within its borders, but the influence it wielded on the state and national level during that year, influence largely attributable to its mayor. In 1910 Ohio voters had called for a new constitutional convention. The last attempt to modify the State’s primary document had ended in failure in 1873 and the 1851 constitution that remained in place was totally inadequate to the needs of the state, most particularly those of its urban areas. The convention opened in Columbus in January 1912. The delegates to the conference chose not to change the Constitution itself but rather proposed a series of amendments to be put before the electorate. The forty-two amendments they offered to voters in a September 3 election encompassed a substantial portion of the progressive agenda. They called for initiative and referendum as a means to bring the peoples’ voice directly to lawmaking; home rule which would allow communities of over 5,000 people to establish their own systems of governance; labor reforms including the establishment of a minimum wage, workman’s compensation and a provision to allow the legislature to set working hours; an expanded state bill of rights; a line-item veto for the governor; and the right for Ohio Women to hold certain state offices and to vote. Mayor Newton D. Baker was one of the principal advocates for the progressive agenda of the convention, speaking before the delegates drafting the amendments and then stumping for proposals prior to the election. He was in excellent company – others who spoke included Brand Whitlock, the progressive mayor of Toledo, Ohio, Hiram Johnson, the governor who had made California a bell weather progressive state and Woodrow Wilson, Theodore Roosevelt, and William Howard Taft, who would go on to become the candidates in one of the nation’s most critical Presidential contests in the fall. In September voters approved thirty-two of the proposed amendments. Among those rejected was women suffrage, but all of the major amendments relating to labor, direct democracy, and home rule passed. Subsequent state legislation would make these progressive concepts a reality. Baker’s role as advocate was critical to the enormous liberalization of the state’s constitution and this brought national notice and credit to him and his city. The Presidential campaign then served to heighten his stature. Then as now, Ohio was a critical electoral state and then as now, the vote in Cuyahoga County had significant impact on statewide election results. The contest that year was arguably the last in which a third party candidate had legitimate hopes for victory. That candidate was former President Theodore Roosevelt. He had sought the nomination of his original party, the Republicans, but was defeated by William Howard Taft, the man whom he had selected as his successor has President in 1908 but whose conservative actions had irritated him and other progressive Republicans. Interestingly, it was a set of adroit maneuvers by Cleveland Republican Party boss, Maurice Mashke, that loaded the Ohio delegation at the convention with votes destined for Taft thus ensuring Roosevelt’s loss of the nomination. Roosevelt then bolted the party, and became the candidate of the new Progressive (or Bull Moose) Party. Baker, however, had strong ties to the Democratic candidate, Woodrow Wilson, who would win the three-way contest. He had taken a class taught by Wilson at Johns Hopkins University and had remained close to Wilson ever since. Both were intellectuals who had entered the political arena as reformers; Baker, of course, in Cleveland and Wilson, the President of Princeton University as the reform governor of New Jersey in 1911. The connection was valuable to both – Baker made a critical speech at the Democratic Convention in Baltimore that helped Wilson win the nomination and Wilson would invite Baker, in several instances to become part of his Presidential administration. Although Baker declined the initial overtures, wishing to continue his service as mayor of Cleveland he would, after he had left office in 1916, accept the invitation to become the Secretary of War. Baker had many reasons to wish to stay in Cleveland, foremost among them was the chance to use the new Home Rule amendment to create a special city charter for Cleveland. By doing so he would he would fulfill one of his mentor, Tom Johnson’s major goals – the creation of a modern, rational system of governance specifically suited to the needs of Cleveland. The process began in 1913 with the election of a special commission to decide on the new governmental structure. Their proposal went to the voters in 1914 and was approved by a margin of two to one. With the system in place and Baker elected to a second term in office, Cleveland remained one of the nation’s premier examples of progressive government. The restructuring of government and Baker’s national prominence were not the only factors that brought notice to the city. It continued to exhibit “civitas” on other fronts, both philanthropic and cultural. Frederick Goff’s establishment of the Cleveland Foundation in 1914 made the city the pioneer in the creation of community funds. The establishment of the Federation For Charity and Philanthropy (the successor to the Chamber of Commerce’s Committee on Benevolent Institutions and the predecessor to the Community Fund) in 1913 marked the beginning of federated charitable solicitation and distribution. The creation of a city Department of Welfare under the auspices of the new Home Rule charter in 1914 added to the evolving modern social service infrastructure. Two years later a Women’s City Club would come into being, evidence of the gender divide that continued despite the progressive impulse. The same year saw the opening of the Cleveland Museum of Art and the first performance at the Cleveland Playhouse. Within another year, however, the United States would join the great European war and that experience would both overshadow and, according to some historians, tarnish the rise of progressivism in the United States. One of its most visible consequences for Cleveland was the elevation of Newton Baker to a place of international prominence. Baker had left the mayor’s office in 1916 to establish his own law firm (it exists today as Baker Hostetler), but within months he was asked by President Wilson to join his cabinet as Secretary of War. He accepted, taking a leave of absence from the law firm. Within a year he found himself undertaking the Herculean task of creating, training, and equipping an army of two-million and then transferring it to Europe. The task involved logic, political challenges, and the expenditure of vast amounts of money. In true progressive style he assembled a team of expert, efficient managers and, by and large, performed a logistical and political miracle. While the “war to end all wars” ended successfully for the US and its allies, it was followed almost immediately by a period of disillusionment. The rationale for entering the war was questioned as was the strict regimentation of society for the war effort, a regimentation that often curtailed individual liberties and which was sometimes colored by propaganda-driven biases and prejudices. In some ways this reflected badly on that aspect of progressivism which focused on order and rationality. Baker was caught up in this maelstrom of second thoughts after the war. He stumped enthusiastically for President Wilson’s campaign to have the United States become a member of the League of Nations – a concept that very much reflected on the social idealism of progressivism. The campaign failed and the US entered the 1920s seeking “normalcy,” which in many ways seemed to counter the old zeal for reform and change. Some historians see the war and the decade that followed as the end of the Progressive Era, while others argue that many progressives continued to be influential, noting that a number would rise to prominence, ideals intact, within the administration of Franklin D. Roosevelt. Baker’s position during this period seems ambiguous. He remained active on the political front, serving as the chairman of the county Democratic Party until 1936 and in 1932 he was considered a viable candidate for the Democratic Party nomination for President. But during this time, when the bulk of his time was devoted to his law firm, he arguably became increasingly conservative politically and was, at times, at odds with the Roosevelt Administration. He objected, in particular, to the expansion of Federal power and programs during the New Deal. Whether or not Baker remained a “true” progressive until his death in 1937 or whether or not the movement ended in the early 1920s or later, are interesting and important historical questions. 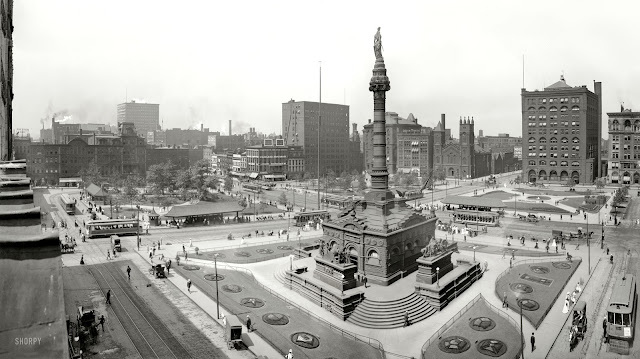 However, there is no question as to the impact of the legacy of the Progressive Era in Cleveland and, particularly, that of the events of 1912 on the subsequent history of city. For example, the surveys conducted by the Cleveland Foundation during its early years helped shape a number of areas of social policy, including public education in the 1920s. The establishment of Home Rule allowed Cleveland to create a city manager form of government in 1921. The city manager system was a true progressive ideal as it attempted to move politics out and professional administration into the running of a city. It functioned from 1923 to 1931, when the Depression and patronage politics undermined it. Today examples of the progressive legacy abound ranging from Mall, the Metro Parks system pioneered by William Stinchcomb, in 1917 to the set of arts and cultural institutions that set Cleveland apart from other cities. In regard to organized charity and philanthropy the annual United Way fund drive and institutions such as East End Neighborhood House, Goodrich-Gannett, and Hiram House Camp which had their beginnings in the period continue to serve the community today. Perhaps most importantly, the principal of direct democracy, made possible by initiative and referendum remains alive and viable, as was demonstrated in the statewide referendum relating to the bargaining rights of public employees on the 2011 ballot. Certainly, the selection of 1912 as one of “the” years in Cleveland’s history can be debated. However, now, a century thereafter, the degree to which the events that took place during it and in the surrounding era still shape daily lives in the city and state is simply remarkable. But, perhaps of greater consequence is the fact that the ideals and persistence of those who used their intellect and altruistic ideals to promote change 100 years ago can and should, continue to inspire us. Comparison of Hiram House, Goodrich Settlement and Alta House Settlements. The most important and effective manifestation of the social gospel movement in the United States and in Cleveland was the social settlement house. The settlement served as the primary instrument for the advocacy of social reform measures during the Progressive Era. Settlements have been aptly characterized as “spearheads for reform:’ although settlement work did not involve benevolence or charity, per se. Rather than attempting to ameliorate social problems by the provision of material aid, the settlements sought to cure these problems by eliminating their causes. The basic premise of the settlement movement was the actual residence of well-educated settlement workers within depressed areas of the city. By sharing the living conditions of the urban poor, the workers would learn the roots of urban problems. Using their own knowledge and skills, these individuals hoped to eradicate the problems at their sources and to educate the neighborhood residents so that they might overcome their condition. The desire to create an urban village lay at the heart of many settlement efforts. 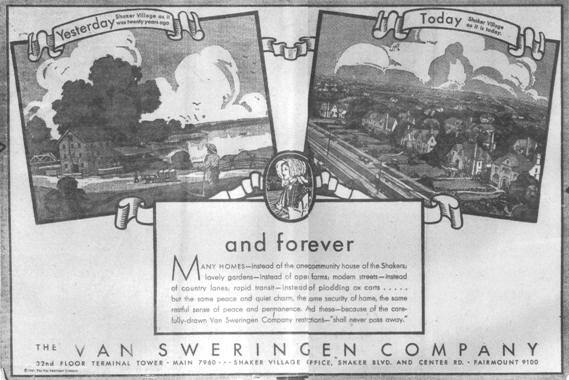 Those involved in the settlement movement believed that urban neighborhoods could overcome their problems if they established the network of mutual aid and sharing considered to typify small-town life. The movement which began in England quickly spread to the United States. By 1900 there were nearly one hundred settlement houses in the nation, five of which were located in Cleveland. Four of these early enterprises, Hiram House, Goodrich House, Alta House, and the Council Educational Alliance, have left behind them substantial information concerning their origins, supporters, personnel, and policies. This information makes possible a survey of their divergent, yet similar characteristics. Seven members of that class began actual settlement work following graduation in June 1896. They took up residence in a rented house in the Irish quarter near Whiskey Island on the City’s West Side. They began kindergarten classes and started planning for educational classes directed toward all age levels in the neighborhood. Pamphlets issued by the students while at this location emphasized the Christian, social gospel basis of the work and clearly outlined their idealistic goals. The hope of Hiram House, they said, “is to become part of the life of its own ward becoming so by personal helpfulness. In helping the masses, its wish is to help remove the cause of distress, further than this we do not commit ourselves to any social program regarding the vexed industrial and economic problems of the day.” Other early publications solicited support from the general public for the work in the name of Christ. Protestant Christianity could not long prosper in an Irish Catholic neighborhood. By the autumn of 1896 pressure from local priests forced the settlement to relocate. It moved to the Haymarket district on the East Side. This was the center of the city’s Jewish community, and despite some early protests by the residents of the area the settlement managed to take root. Its initial locations in this area, a series of rented houses along Orange Avenue, provided Hiram House with enough space to continue and expand its programs. The workers again began a kindergarten to which they added a day nursery, high school classes for older youths, debating clubs, excursions to parks, and a summer camp. Most of these programs were directed toward educating the people of the neighborhood and providing them with the intellectual means to rise above their environment. Other programs, such as camping and excursions, were attempts to physically remove people, especially children, from the crowded conditions and debilitating atmosphere of the inner city. The staff carried on its work without substantive support from any single institution. Hiram College provided its good wishes and a continuous flow of student volunteers, but no financial support. Funds came primarily from collections taken up in rural churches by one of the original student volunteers, George Bellamy. Initially financial solicitor for the settlement, Bellamy assumed control of all work in 1897 and retained it until his retirement in 1946. Bellamy came from a religious family of moderate means. He was born in Cascade, Michigan, in 1872, descended on his mother’s side from colonists who had arrived in 1620. Several relatives were active in the Disciples of Christ Church, and his older brother, William, a Hiram graduate, served as a minister for that denomination. Bellamy followed his brother into the ministerial course at Hiram, earning all of his college expenses through summer jobs and part-time employment during the school year. His interest in social settlement work was sparked in 1895 by a chance meeting with Graham Taylor while at a Chautauqua lecture. Years later he would credit his conversion to the social gospel to a vision he had had in church while still a youth. Bellamy’s convictions were tested to the limit during his first several years at the settlement. He worked without pay, having given his savings to the settlement. He was often rebuffed when he attempted to solicit funds from the major churches in Cleveland because the enterprise he represented was viewed as socialistic. One church official told Bellamy, “You ought to be ostracized from [for) living among such people. God never intended to save such people. You should shove them off in a comer and let them be there and rot.” Fund-raising was successful only among small Disciples congregations in the rural towns surrounding the city. They contributed money as well as flowers for distribution in the bleak city neighborhood. Despite the youthful dedication and idealism committed to the settlement, Hiram House prospered only after Bellamy found a substantial secular source of funds. A meeting in 1898 with a prominent jurist and member of the Disciples of Christ Church, Henry White, paved the way for this change. White contributed money, but more importantly, he formed an executive committee to oversee the affairs of Hiram House. By 1900 the committee had evolved into a board of trustees that consisted primarily of prominent businessmen, most of whom were important enough to be listed in the city’s Blue Book. The board of trustees served to legitimize Hiram House as an institution worthy of support. Within two years it solicited sufficient funds, including substantial donations from John D. Rockefeller and Samuel Mather, to build and equip a four-story structure for the settlement at East Twenty-seventh Street and Orange Avenue. 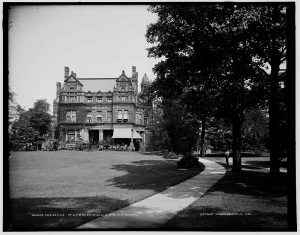 The guarantee of support allowed Hiram House’s budget to grow from $2,210.31 in 1898 to $6,860.00 in 1900, to $12,745.60 in 1905, and to $20,614.10 in 1910. More importantly, Samuel Mather, perhaps the city’s richest citizen, became a member of the board during this period and took an unflagging interest in the work of the settlement. Having such wherewithal, Bellamy was able to expand programs and activities which he believed would eliminate the problems plaguing his neighborhood. A new publication, Hiram House Life, initially offered a forum for studies of local problems. A playground constructed at the rear of the settlement building provided much-needed open space for the neighborhood. The ample structure had rooms which were used by clubs and classes as well as by other organizations, such as the Visiting Nurse Association and a branch of the Cleveland Public Library. New staff, including a playground director, a director of boys’ work, and a neighborhood visitor, Similarly extended the settlement’s work and its utility. By World War I, Hiram House provided play areas for children, meeting rooms for clubs (mainly for children), weekly entertainments, a gymnasium, and vocational education and homemaking classes within its facilities, as well as headquarters for nurses and workers who visited the sick and needy in its surrounding neighborhood. The ethnic background of Hiram House’s clientele was changing, too, during this time. As the Jewish immigrant population prospered and moved out of the Haymarket district, Italian immigrants began moving in, beginning about 1905. 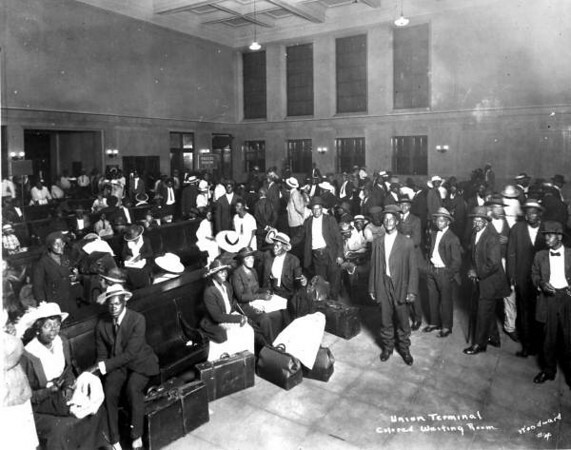 They, in tum, were eventually replaced by southern blacks, who began moving to Cleveland in large numbers during the First World War. Relieved by the successful efforts of his board of trustees from the constant task of soliciting funds, Bellamy became involved in various nonsettlement activities directed toward social reform. For example, he made some effort to rid the neighborhood of Harry Bernstein, its corrupt ward boss. He also became an active member of the Cleveland Council of Sociology, an organization comprised of clerics, charity workers, and others, which was devoted to the discussion of the social issues of the day. He served on two committees of the chamber of commerce, both of which were dedicated to the elimination of particular social ills: the chamber’s Bath House Committee of 1901 studied the lack of bathing facilities in the inner city and successfully implemented a program for the construction of bathhouses; and its Committee on the Housing Problem of 1903-4 surveyed housing condition s in the city and made recommendations for a revision of the city’s housing code. As late as 1905, Bellamy also remained active in the Disciples of Christ Church. He used a speech at a church convention that year to set forth his strong social gospel idealism and to decry the criticism of reform-minded clerics by the church establishment: “The representatives of the most advanced religious thought, no matter how God-fearing or how conscientious, have by no means passed the period of church discipline or rebuke. This lack of freedom in religious thought and study has hindered a wholesome, righteous growth of religious understanding. The growth of Hiram House had consequences for both Bellamy’s social thought and the institution itself. As it grew, Hiram House drifted away from the concept of “personal helpfulness.” Certainly neighborhood residents could meet and work with staff members, but these workers were much less neighbors in themselves. They were professional employees who answered to the demands of an institutional bureaucracy. As early as 1902, Hiram House had eleven different departments directed largely by paid staff rather than by student volunteers. These employees reported to George Bellamy. By 1910 Bellamy was an administrator of an institution removed, for the most part, from close contact with its clientele. As an administrator responsible to a board of trustees, he had to ensure that his operation ran smoothly and that its backers were pleased with both its progress and programs. To these ends he devised settlement programs which were popular, and he personally abstained from causes or issues which might irritate his supporters. Popular programs drew large numbers of people to the settlement and thus seemed to prove its worth to its patrons. Therefore, by World War I, Hiram House had come to concentrate on recreational programs which would appeal to the children in the neighborhood. It tended to avoid programs which were educational or which were directed at adult immigrants, as the former would be unpopular and the latter dealt with a clientele which was difficult to attract in large numbers. While Hiram House would come to be characterized as one of the city’s most conservative settlement houses, Goodrich House, the second settlement in the city, was perhaps its most liberal. This social settlement evolved from a series of boys’ clubs and classes held in Cleveland’s First Presbyterian (Old Stone) Church in the mid-1890s. Located on Public Square, the church had one of the city’s oldest and most prestigious congregations. The classes and clubs, which attracted children from the congested, run- down neighborhood to the north of the church, were directed by Elizabeth and Edward W. Haines, Elizabeth being the daughter of the church’s pastor, Dr. Hiram C. Haydn. As the work seemed to fill a major need in the neighborhood, the church began planning its expansion. Central to this planning was Flora Stone Mather, a member of the church, the wife of Samuel Mather, and the daughter of Amasa Stone, railroad builder and industrialist and one of the city’s most influential men in the immediate post-Civil War period. Wealthy in her own right, Flora Stone’s marriage to Samuel Mather allowed her to become the benefactor of a variety of charitable and educational agencies. Goodrich, however, was her most important charitable interest. Upon her death in 1909, her husband noted, “There was nothing she ever did in which she was more interested than Goodrich House. Originally, Flora Mather proposed that she would construct a parish house in which the church could undertake neighborhood work. However, the lack of land immediately adjacent to the church and a feeling that the scope of such work might soon overwhelm the church led to a reconsideration. Since 1893, Mather had carried on a correspondence with Professor Henry E. Bourne of Western Reserve University in which they discussed social settlement work. Bourne apparently used this correspondence to assist her in understanding settlement work. She had probably first learned of settlement work through a friend, Lucy B. Buell, a former resident of the College Settlement in New York. The physical problems of constructing a parish house and her correspondence with Bourne led Mather to propose the construction of a fully equipped settlement in the general neighborhood of the church. 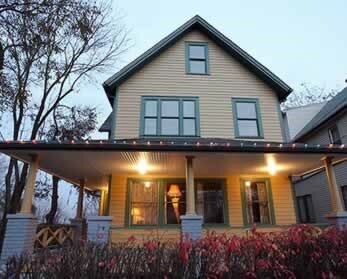 When Goodrich House finally began work in May 1897, it operated out of a new building constructed expressly for it at St. Clair and East Sixth Street. Flora Mather had paid for the structure and for a number of years thereafter underwrote the cost of the settlement’s operations. The programs in the new building were supervised by Starr Cadwallader. Cadwallader, a graduate of Union Theological Seminary in Utica, New York, had worked briefly at Union Settlement before coming to Cleveland. During his five-year tenure at Goodrich House, he directed the agency in many of the standard areas of settlement work. The structure housed a bowling alley, baths, laundry, library, and meeting rooms which were made available to neighborhood residents and to a variety of clubs and social groups. Cadwallader and his staff also attempted to improve neighborhood conditions by lobbying for cleaner streets and encouraging area residents to plant home gardens. However, quite unlike Hiram House, Goodrich House became known as a public forum for the discussion of social reform issues; records indicate, for example, that a young socialist club met at the facilities. Some of the meetings held at Goodrich House led to the creation of such reform-oriented groups as the Consumers’ League of Ohio, and the Legal Aid Society, as well as the creation of a separate, rural boys’ farm for housing juvenile offenders. Among the settlement residents who took part in such discussions were Frederick C. Howe and Newton D. Baker, both of whom left the settlement for positions in Tom L. Johnson’s mayoral administration. Goodrich had a board of directors as soon as it had a building. Composed largely of people affiliated with the First Presbyterian Church and their friends, this body did little, if anything, to challenge the somewhat radical events at the settlement. Dr. Haydn presided over the first board, which included Flora and Samuel Mather, Elizabeth and Edward Haines, Professor Bourne, and Lucy Buell. 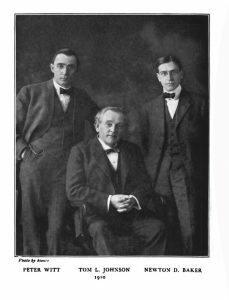 By 1905, Cadwallader, Howe, and Baker, all of whom had left the employ of the settlement, had joined the board. James R. Garfield, son of President Garfield and law partner of Howe, also served on the board during the early years of the settlement. The tightly knit nature of this board and its ties to the church rather than to business, were probably two factors which allowed Goodrich to pursue a more radical course than Hiram House. That the settlement existed because of Flora Mather’s largess is, however, a more important factor. Whereas Bellamy had a number of donors to please, Cadwallader had only Mrs. Mather and his rather small board to consider when directing the settlement. Then, too, Hiram House was Bellamy’s creation ; its failure would be his failure. Cadwallader could, and did, walk away from Goodrich whenever he pleased. In his case, the social goals he wished to achieve took precedence over loyalty to any particular institution. Though the liberal nature of Goodrich could not be written into its articles of incorporation, it nevertheless seemed to be an integral part of the settlement. Cadwallader’s work seems to have set the liberal tone for the settlement. There after it would tend to attract new headworkers of a similar mien. Five headwork ers followed in rather quick succession when Cadwallader left Goodrich in 1904. The rapid turnover ended in 1917 when Alice Gannett, formerly of Henry Street Settlement in New York, took the position and held it until 1947. Gannett continued to strengthen Goodrich’s liberal reputation. During her career she served as president of the Ohio Consumers’ League and the National Federation of Settlements, and was active in the League for Human Rights. Alta House, which began settlement work in Cleveland’s Little Italy district in 1900, provided yet another example of the diversity of the settlement and reform impulse in Cleveland. Sequestered in a compact ethnic neighborhood, it exhibited none of the neighborhood activism which characterized the very early years of Hiram House nor the liberal leanings characteristic of Goodrich and its staff. Nor was Alta the creation of youthful idealism or a church. Alta House reflected the expressed needs of the neighborhood as acted upon by social gospel idealism. Mothers in the Little Italy district attempted to establish a day nursery in the mid-1890s. Many of them worked in the vineyards in the east of the city and needed day care for their children. They appealed to the Cleveland Day Nursery Association for help. Louise (Mrs. Marius E.) Rawson of the association directed its efforts to assist the Italian mothers. Rawson, a New England-born school teacher, began the nursery in a small cottage, which the work soon outgrew. Relocated in a larger structure, the nursery expanded to Include boys’ clubs, mothers’ clubs, and cooking classes, and again strained the capacity of its quarters. At this point, Rawson began to search tor funding to provide a permanent, larger building for the work. She approached John D. Rockefeller for that aid. Rockefeller was a natural choice. He was wealthy and a devoutly religious man. As such, he made his money available to a number of worthy causes in and outside of Cleveland-whether his philanthropy signified a social gospel-like desire to help his fellow men or followed the tradition of benevolence by the wealthy cannot be stated with any certainty. Most important in Rawson’s plans was the fact that Rockefeller, when in Cleveland, daily traveled through the Italian district on his way to and from his estate in Forest Hills. Katherine E. Smith, formerly of the Rivington Street Settlement in New York, came to Cleveland to head the work at Alta House. Work in the new structure focused primarily on child-oriented activities. It included a day nursery, a kindergarten, boys’ clubs, girls’ classes in sewing, millinery, and cooking, a school for eighteen crippled children, and a gymnasium. In addition, a medical dispensary, a resident visiting nurse, public baths, a public laundry, and a playground were provided. Smith answered to a board of trustees which included J. G. W. Cowles, a real estate dealer who lived in the Heights area just above the settlement; Paul L. Feiss, one of the officers of the Joseph and Feiss clothing company; John D. Rockefeller, Jr.; Alta Rockefeller Prentice; Professor Matoon M. Curtis of neighboring Western Reserve University; Belle Sherwin, daughter of a prominent family and a leading figure in various reform movements; Maude O. (Mrs. William) Truesdale, the wife of an assistant professor at Western Reserve University; and Louise Rawson. The board certainly did not represent the religious element, nor, excepting the Rockefeller contingent, did it lean particularly on the wealthiest families of the city. The presence of Rawson and Truesdale, neither of whom represented money or social status, was unusual, but was an acknowledgment of the Day Nursery Association’s role in the creation of Alta House, as well as of Truesdale’s strong educational programming. Alta House had no need to combat social evils such as poor housing, overcrowding, or open sewers. The housing stock of the neighborhood was largely new, having been erected by the Italian immigrants during the last decades of the nineteenth century. It was almost a rural area, five miles from the center of the city. Its only industries were a street car carbarn and the monument works of Joseph Carabelli. The settlement’s task, therefore, naturally centered on the social, academic, civic, and sanitation education of the immigrants. Smith may have chafed at these apparently pedestrian duties. Her first annual report, for example, indicated an interest in starting a social reform club for young boys. The record does not indicate if she accomplished this. However, classes in English, sewing, cooking, and hygiene, as well as physical education programs, were still strong, if indirect, means of social reform, for they seemed to guarantee the training of useful, healthy future citizens who would be assets to the community. The Rockefeller family continued to support Alta House until 1921, at which time John D. Rockefeller, Jr., asked to be relieved of its annual costs. Because of the long-term interest of the Rockefellers and the insular nature of the Little Italy neighborhood, Alta House was quite dissimilar from either Hiram House or Goodrich House. Yet it still shared the Christian seed of these organizations as well as their dedication to social reform in one guise or another. Cosponsored by Teaching Cleveland and the Maltz Museum of Jewish Heritage. Dr. Grabowski is Krieger-Mueller Associate Professor in Applied History at CWRU and Historian and Senior Vice President for Research and Publications at WRHS. Dr. John Grabowski takes us through the creation of Roman Catholic Cleveland during the tumultuous 19th Century as the various ethnic communities of Northeast Ohio were created. It’s the foundation upon which today’s Cleveland was built. A must see for anyone who wants to understand 20th Century Cleveland. Contributed by John J. Grabowski, Ph.D. If you are familiar with professional football (and one assumes many SAA members are) you know (should know!) that one of the most famous rivalries in the sport is that between the Cleveland Browns and the Pittsburgh Steelers. It’s a bit like Ohio State and the other university up north (family connections prevent me from using its name!). But the comparison ends there, because unlike college football with its origins in the Ivy League, that of pro football is connected to the steel mills and factories of the industrial Midwest. The Cleveland-Pittsburgh rivalry has at its roots, a blue collar aura and a link to a longer economic rivalry between two great American steel cities. And, that brings us to the story of steel and iron in Cleveland. Even in this second decade of the twenty-first century, Clevelanders cannot divorce themselves from steel despite the city’s move into a post-industrial economy. Look closely at the city while you are here. The iron ore carrier, William G. Mather is anchored in the lake just beyond the Rock and Roll Hall of Fame. Take a tour of the Flats, and you’ll see ore freighters winding their way up the Cuyahoga to the ArcelorMittal mill. Now largely automated, it is one of the most efficient steel mills in the nation. If you take the time to go to the observation deck of the Terminal Tower, you’ll see its buildings and smokestacks to the south. This modernized plant is the descendant of an industry that formed the economic backbone of the city from the period just after the Civil War to the 1960s. While early Cleveland blacksmiths worked iron, it was not until 1857 that the industry really got rolling, so to speak. Two Welsh brothers, David and John Jones, started the Cleveland Rolling Mills southeast of the city in the area now known as Slavic Village. 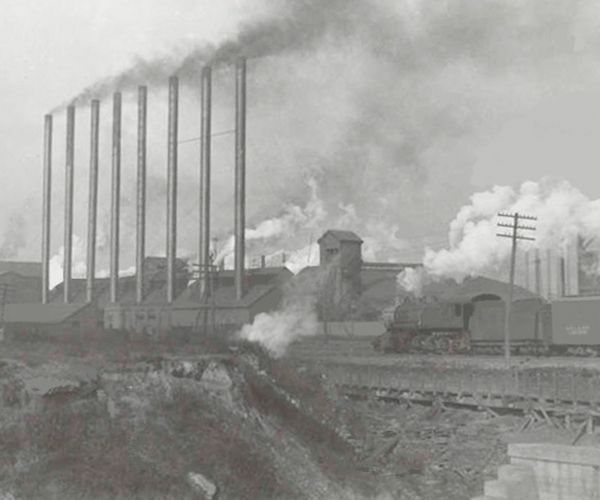 By the 1880s, the making of iron and steel (the rolling mills had the first Bessemer converter west of the Appalachians) had displaced oil and refining as the chief industrial activity in Cleveland. As the mills grew, the process also became de-skilled and thus opened up jobs to thousands of immigrant and migrant workers. It’s not serendipity that placed some of the city’s ethnic neighborhoods near the mills; it was the need of workers to walk to their jobs. And chain migration brought sons, families, and relatives from what are now Poland, the Czech Republic, Slovakia, Ukraine, and other central and eastern European nations to mill neighborhoods like Tremont, Warszawa (now part of Slavic Village), and Praha. By the early twentieth century, the Europeans were joined at the mills by African Americans who saw Cleveland and jobs at the mills as a passage out of Jim Crow and into some degree of prosperity. That expectation was, unfortunately, not truly fulfilled, despite the fact that some migrants already had their roots in the industry in Alabama. I suspect that this little snippet is a reminder that I, like many Clevelanders, have some steel in my family history. And, indeed, as noted earlier, it’s hard to let that history be forgotten. While the mills may not be what they used to be (thank goodness perhaps, because the pollution they created was extensive), it is still possible to see the history of steel in the city. The Brown Hoist Factory still stands on Hamilton Avenue; the site of the Cleveland Rolling Mills (which later became part of United States Steels American Steel and Wire Plant) still bears traces of the factory; and some of the factories that built automobiles such as the Winton still stand. And, if you want to see the real thing at work, get someone to drive you down Independence Road in the Flats — you’ll be going through a major section of the ArcelorMittal mill. Or you can visit the neighborhoods built alongside the mills. Try Tremont – look at the architecture, count the churches, enjoy a meal at some of the best restaurants in Cleveland (and remember when you pay your bill, you’ve probably spent the equivalent of several weeks wages for someone who lived in that “hood” one hundred years ago). Of course, if you come back to the city after the convention you can buy a seat at a Browns-Steelers game. Try to remember that the roots of this contest are blue collar when you look at the tab! But, if you are less adventurous, simply consult the online edition of the Encyclopedia of Cleveland History. Start with the article on iron and steel, and use the internal links to really get the full story of all the connections the industry has to the history of Cleveland.